When people ask me what I do with our compañero, I tell them honestly that we just chat. As part of the Juntos Compañeros program, two other Middlebury students and I go to visit a farmworker named Gustavo every Friday for a couple of hours. I often get some confused looks and uncertainty about what the purpose behind “just chatting” is. Sometimes we practice English words and phrases and work on specific things like communicating with staff at the bank or post office to send money back to his hometown in Tabasco, Mexico. Other times we will talk about the movie he was just watching on his “dia de descanso” (rest day) and get into a conversation about pop culture, television shows, and our favorite fútbol (soccer) teams. Most of the time though, the conversation slips into how he is doing day to day. If he’s warm enough when he goes out to milk in the early morning in the winter. If his employer has increased his payment above minimum wage at all. Gustavo puts a face to the issue. As an undocumented migrant farmworker in Vermont he works long untraditional hours, he is paid low wages, and he suffers hard conditions on a family dairy farm. We are by no means solving the issues that Gustavo faces by just chatting. We are not confronting the crisis of immigration. We are not doing anything that would be published in the newspaper as revolutionary engagement in the community, but I think our little nuggets of conversation in broken English and Spanish provide some form of companionship and insight for both of us. It’s fun to talk about soccer and TV and our favorite foods. It’s two hours for Gustavo that don’t revolve around the farm’s milking schedule and two hours for us that don’t revolve around squeezing in lunch at Proctor between class and meetings. Just chatting lets us all take a break and just exist with one another for a while. It’s not the structural change that’s needed with immigration, but it feels like a little baby step to creating solidarity and a partnership across difference. 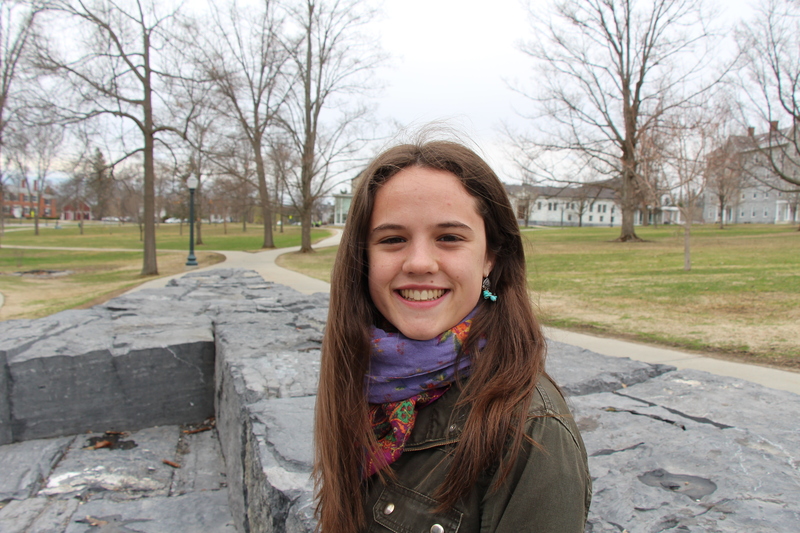 This entry was posted in Midd Blogosphere and tagged A student's voice, community, Juntos on May 4, 2015 by Lydia Gordon. Below is a reflection from Fredy Rosales ’17, a student who took part in the Ferguson Alternative Spring Break Trip. Fredy was awarded a Community Engagement Mini-Grant to attend the trip. As I bend down to pick up a fugitive piece of trash from the road in North Florissant Rd in Ferguson, Missouri, I try to observe and absorb the reality of this environment and my situation. It’s not what I expected. I don’t mind the physical work even after an exhausting day of traveling, because after all, I knew my Ferguson Alternative Spring Break was a service trip, but I wonder if this is the best way to help the movement and specifically chaos-invaded Ferguson. I also wonder why this place is so similar to my home town. When will we see the riots, protests and chaos that the media so insistently portrays? Where are the burning buildings? The streets closed by police or by activists? I’m sure many of the other college students with me are wondering the same, but it is not until later in the day, after having indeed seen some destroyed buildings, that we really start to make sense of the reality of Ferguson: it’s just like any other suburban town in the country, at least on the surface. Throughout the rest of the week we learn more about the reality of Ferguson. We learn more details about the Police Department’s racial profiling and over-policing. We learn about the problems with the local judiciary system, the political scene, and the constant struggle that people of color go through every day in this community. But more importantly, we learn from the community members and activists. During one of our community service activities we ride the metro and converse with people. We learn that it is unsafe for two black men to walk together on the street, because they might “fit the description.” We learn about families that have been broken up by accusations without realistic evidence from the police. We learn that people feel afraid of the police. But still this place feels too normal. By the end of the week we had all learned and confirmed that Ferguson is not an exception to the norm in the country –it is the norm. Things like this happen to people of color everyday all around the States. The Ferguson Police Department was just one that “got caught”, but the media insists in depicting this as an isolated issue–it only happens there. It’s sad to think that the media has found some success in influencing the general public. But the positive, valuable lessons that I took from my experience in Ferguson outweigh the negative ones. One such lesson I learned was the power of effective organization to affect real change and I witnessed first hand through Operation Help or Hush.Operation Help Or Hush. In only a matter of months, the organizations’ co-founders, activists Tasha Burton and Charles Wades, along with many collaborators, have implemented a series of programs that are already changing Ferguson, and that are cementing the bases to further long term changes. These programs include a Transitional Housing Program (which evolved from their earlier work to provide safe-stays for activists) that provides safe housing for those struggling financially free of charge for 90 days; Ferguson Food Share which provides several low income families with healthy food; funding the Faces of the Movement initiative; and of course, the Ferguson Alternative Spring Break which for 5 weeks brought together college students from all over the country to learn more about and support the movement. When you consider that OHOH has only existed for less than 9 months, and that it started with a twitter campaign to raise funds, their accomplishments become all the more impressive, and their story quite inspiring. And inspired we were. During my week in Ferguson I met many intelligent civic-minded college students that were eager to apply what they had learned in Ferguson in their own communities. I think that one of OHOH biggest successes during this program was that they transformed us in a way that sent us as waves throughout the country, as sparkles willing to ignite to change our communities. (Many were already planning to organize ways to address issues such as over-policing before they had even left Ferguson). More importantly, they created a network of individuals who no longer saw themselves as “saviors” but as allies willing to work effectively to affect change. This entry was posted in Midd Blogosphere and tagged A student's voice, Ferguson, MAlt, Reflection on April 28, 2015 by Lydia Gordon. Community engagement has been an important part of my life for almost as long as I can remember. Growing up in Washington, D.C. and volunteering for a youth service corps called City Year Young Heroes made me aware of difference and privilege at a very young age. But it was only when I was in high school and volunteering for the Obama campaign in Richmond, VA that I realized that the chasms of prejudice and poverty between us also affect our ability to participate in the democratic process. Ever since coming to that realization, my primary goal has been to fight disenfranchisement and other barriers to democratic participation. Community Engagement at Middlebury has really helped me pursue that goal on campus by providing invaluable funding and support to MiddVote, which was founded to increase civic participation among Middlebury students. With the help of Community Engagement, MiddVote was able to register nearly 500 Middlebury students to vote this past Fall. Being a part of MiddVote was a very rewarding experience that made me even more excited to devote my career to fight for all citizens’ voting rights. This entry was posted in Midd Blogosphere and tagged A student's voice, Truman fellowship on April 28, 2015 by Lydia Gordon. Midd Certified In Engagement and Empathy! This year something amazing happened: Middlebury College became one of just ten institutions of higher education in the U.S. and one of just two private liberal arts colleges to be recognized by both the Carnegie Foundation and Ashoka. This fall Middlebury received the Carnegie Foundation’s Community Engagement Elective Classification, which dovetails with the Ashoka Changemaker Campus designation it received in 2011. This entry was posted in Midd Blogosphere and tagged Uncategorized on April 23, 2015 by Lydia Gordon. 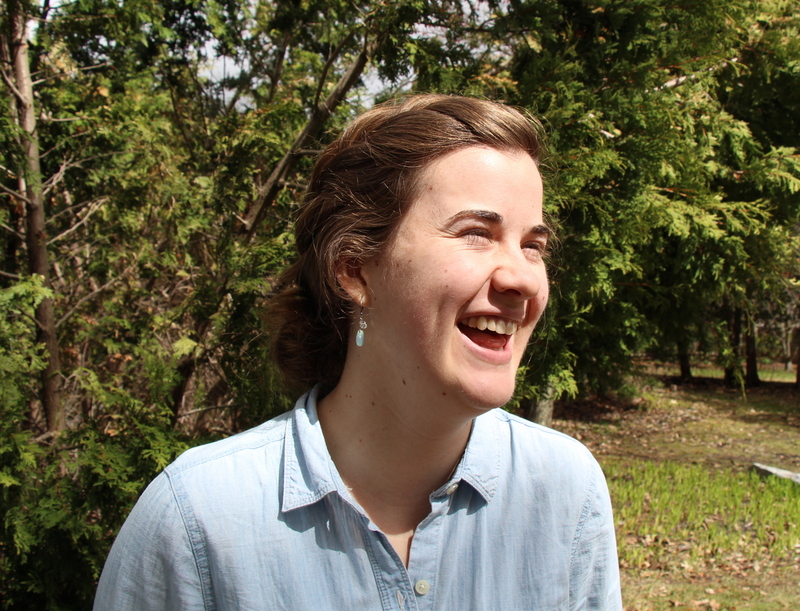 Maddie Orcutt’ 16 was one of two bright young women from Middlebury College to win the prestigious Truman Fellowship. The Truman Fellowship recognizes college juniors who have been outstanding leaders in public service and are interested public service as a career. The fellowship grants up to $30,000 toward graduate study in the U.S. or abroad. This entry was posted in Midd Blogosphere and tagged A student's voice, Truman fellowship on April 23, 2015 by Lydia Gordon. I was convinced to start volunteering at the Charter House by a friend who was enrolled in the J-Term internship with the community non-profit. When I showed up for my first shift I awkwardly stumbled around the kitchen trying to be of as much use as possible, but like the first couple days at a new job, I had no idea what I was supposed to be doing or where anything was. I admit that as I was preparing the dinner and setting the table for the night’s dinner I was apprehensive about how the individuals staying at the warming shelter would receive me. I have never been homeless myself and my exposure to homelessness until then didn’t range beyond the few conversations I have had with a few homeless individuals I saw regularly in my hometown. We all sat down for dinner and immediately began chatting about the weather, recent happenings around town and the jeopardy episode that was idling in the background. We were all arranged around the table family-style, which felt very foreign compared to the rushed solo meals in Ross I eat more often than I’d like to admit, or the loud, crowded tables of Atwater. The last time I can remember sitting down for a meal like this was Thanksgiving two years ago when I found myself skirting sensitive political (and personal) topics with my extended family. The dinners I’ve had this past semester at the Charter House have been a great break from the routine-driven life we all lead on campus. They offer a unique opportunity to leave behind all the busywork, nagging reminders, and problems we have at school and focus on spending time with some fantastic individuals who you would otherwise never interact with. I am a bit embarrassed to think back on my apprehension the first day I volunteered at the Charter House. The individuals utilizing the warming shelter services are extremely grateful for a warm meal and some new company to talk with. 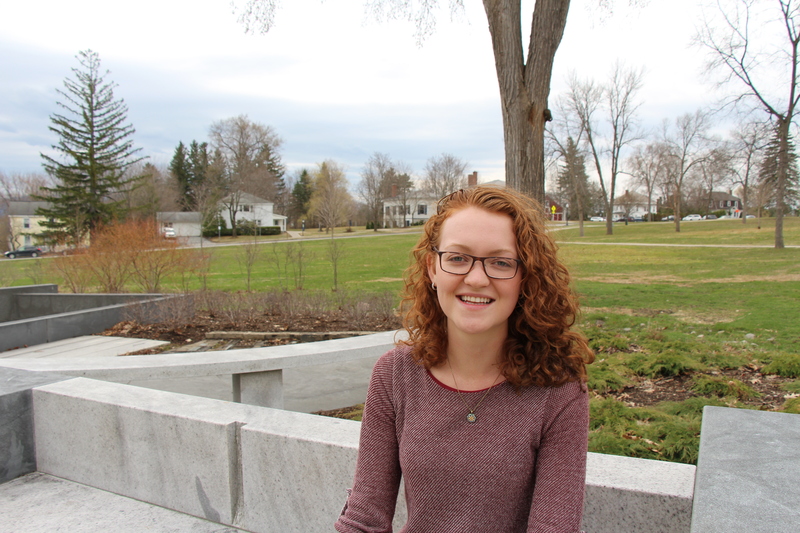 Everyone involved with the coalition has been more than welcoming to me and it has been an unexpected reward to get the chance to make friends with more members in the Middlebury community outside of the college. It’s hard to see how little exposure there is to the community when you’re on campus, but getting out of our world every once and awhile has proved to be more refreshing than I would have ever expected. To learn more about the Charter House go here! This entry was posted in Midd Blogosphere and tagged A student's voice, Charter House Coalition, dinner, new experience on April 7, 2015 by Lydia Gordon.